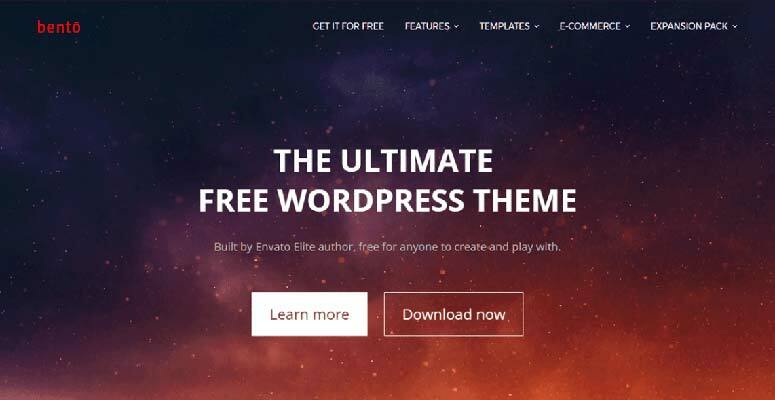 Do you want the best free WordPress blog themes for your site? 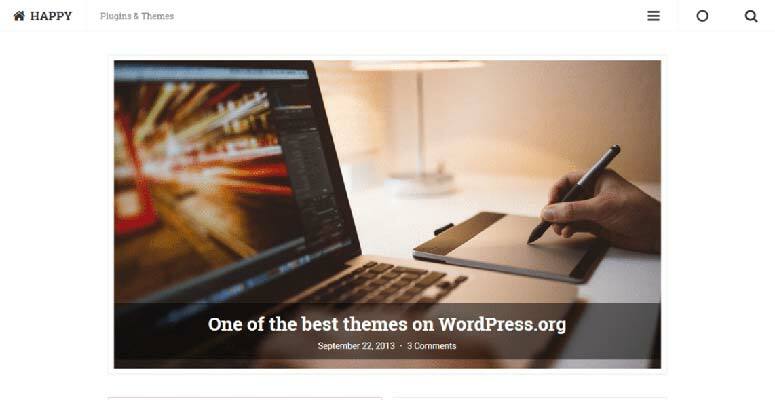 In the WordPress theme repository, there’re hundreds of free blog themes, which makes it difficult for beginners to pick the best theme for their blog. Fortunately, we’re here to help you narrow down your choices. 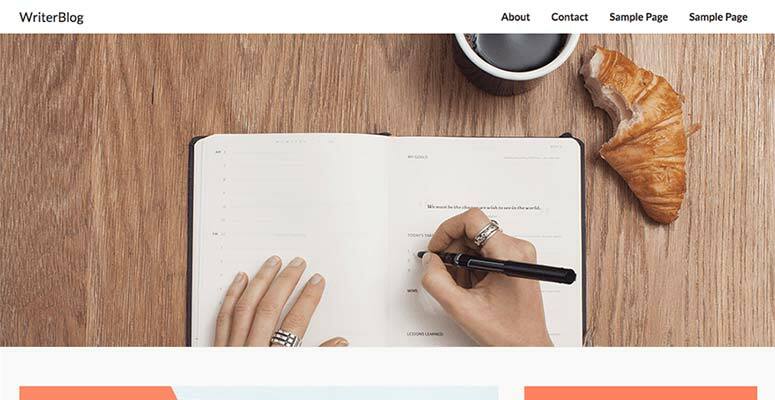 In this article, we’ll share the best free WordPress blog themes for your personal or professional blog. WordPress is the most popular blogging software in the world. Many of the world’s top brands use WordPress for their blogs. You’ll find 2 types of WordPress websites: WordPress.com, which is a hosted platform; and WordPress.org, which is a self-hosted site. See our side by side comparison between WordPress.com vs WordPress.org for more information. You’ll need the self-hosted WordPress to start a blog. 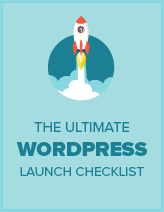 Self-hosted WordPress gives you full command of all the features and plugins available. To set up your blog, you’ll need to buy a domain name and web hosting. We recommend using Bluehost. It’s one of the most popular hosting providers in the world, and is officially recommended by WordPress’ core. Luckily, Bluehost is offering our users a free domain, free SSL certificate, and a massive discount on web hosting. After purchasing your web hosting, you should check out our step-by-step guide on how to start a blog. All done? Then let’s take a look at the best free WordPress blog themes you can use on your website. 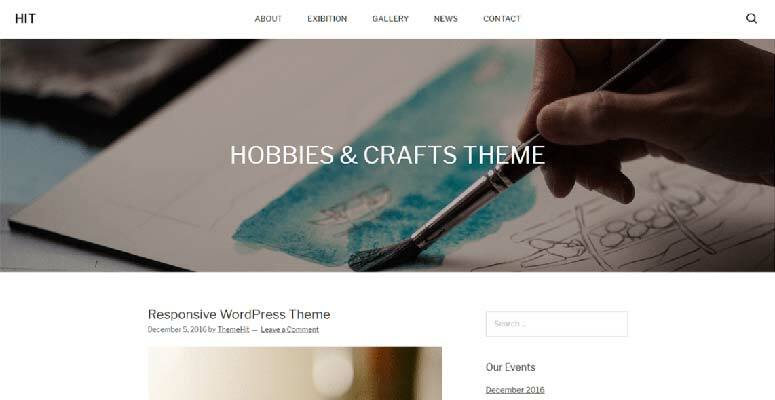 Hueman is a popular WordPress theme. It can be used to create all varieties of WordPress blogs and magazine websites. It includes a multi-column layout, featured content sections, content categories, and more on the homepage. Hueman can be customized easily to change the layout settings. It has a full-width layout, 2-column layout, and custom headers. 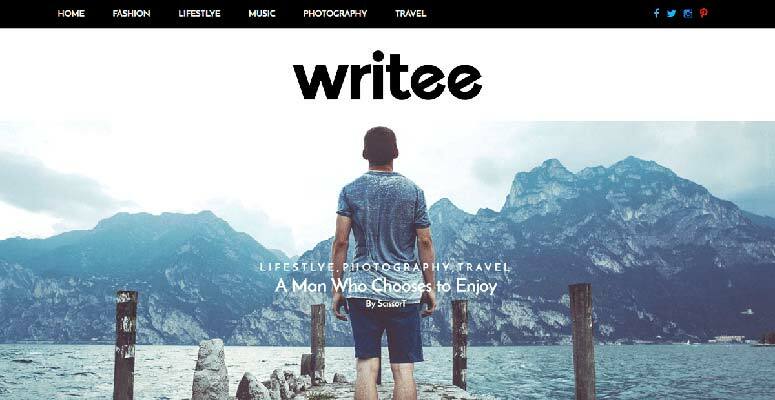 Writee is a WordPress blog theme designed specifically for travel bloggers, adventurers, personal websites, and content blogs. It comes with a full-width image slider on the homepage that allows you to display featured blog posts. It has several built-in layouts, custom widgets, color options, and more. 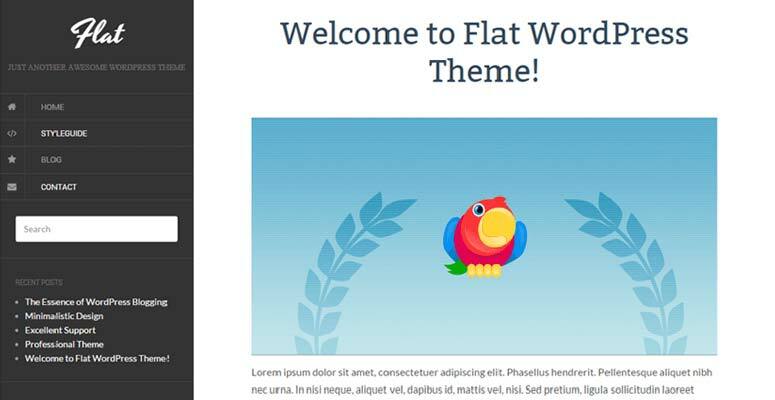 Flat is a professional WordPress theme for bloggers. It comes with multiple layout options, featured images, a custom header, parallax background, and more. It has the navigation menu in the sidebar. It’s a beginner-friendly and easy-to-use theme with a lot of custom options. 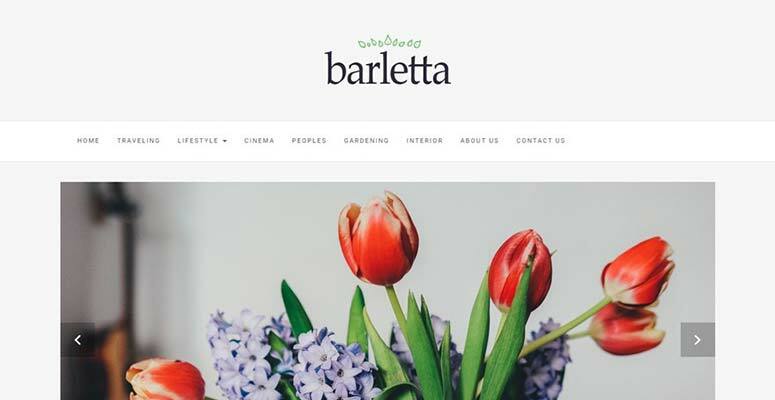 Barletta is a modern WordPress theme suitable for lifestyle, travel, food, fashion, photography, and artistry blogs. It has crisp typography and beautiful image display options. Barletta comes with multiple layout choices, sidebars, and more. It includes custom widgets, custom headers, background image, featured content sliders, and unlimited color schemes. Tracks is a stylish WordPress blog theme for magazines, news, personal, travel, and photography blogs. It features a custom logo area, social sharing, multiple widget areas, and beautiful typography support. It has a featured content section on the homepage that displays post titles with images. Illdy is a WordPress blog theme designed specifically for portfolio, personal, business, magazine, and other content-savvy blogs. It’s based on the Bootstrap framework which gives it a rock-solid foundation. The theme includes multiple layouts, custom background, header images, unlimited color options, and more. 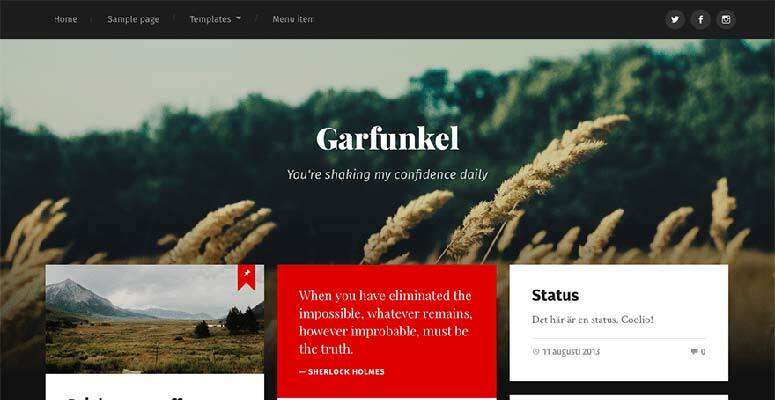 Garfunkel is an elegant WordPress theme for personal and professional bloggers. It has a masonry layout on the homepage displaying blog posts in grids. It comes with full width background image support. Inside, you’ll find custom widgets, post formats, gallery slideshow, headers, background options, and page templates. iFeature is a professional WordPress blog theme that can be easily adapted for business, portfolio, personal, and magazine blogs. It comes with a custom image slider with text and link options. It includes background image, sticky header, page templates, author bio boxes, widget areas, and more. You can easily manage the theme settings from the live customizer in WordPress. 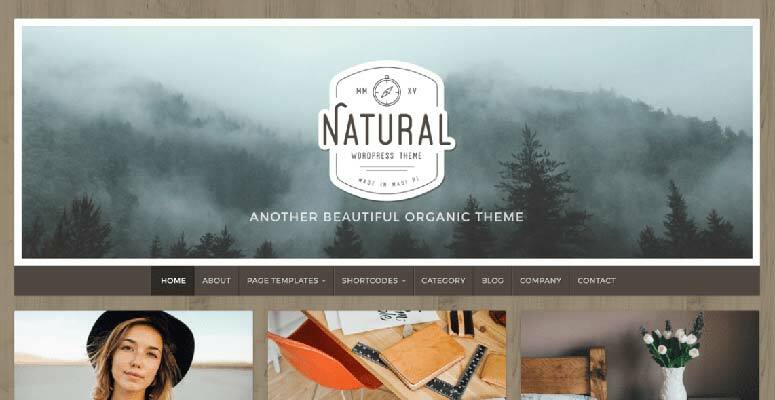 Natural Lite is a free WordPress blog theme with a simple and neat layout. It has a textured background that can be easily customized via the theme options. It comes with homepage sections for services, team members, case studies, a portfolio, and more. It supports multiple layout choices, a custom header, featured images, and color options. Hestia is an excellent WordPress blog theme that can be used to create all types of blogs. It’s a fully customizable and flexible theme with easy-to-set-up options. It includes companion plugins for testimonials, services, and other needed features. It works great with all the popular page builders and fully supports WooCommerce so you can start an online store. Hestia is a perfect choice for bloggers, and can be easily customized using the live theme customizer. If you want a simple-yet-beautiful layout for your blog, then you should select Ignite theme. It has multiple layouts, navigation menus, a custom logo area, and a title with description area. 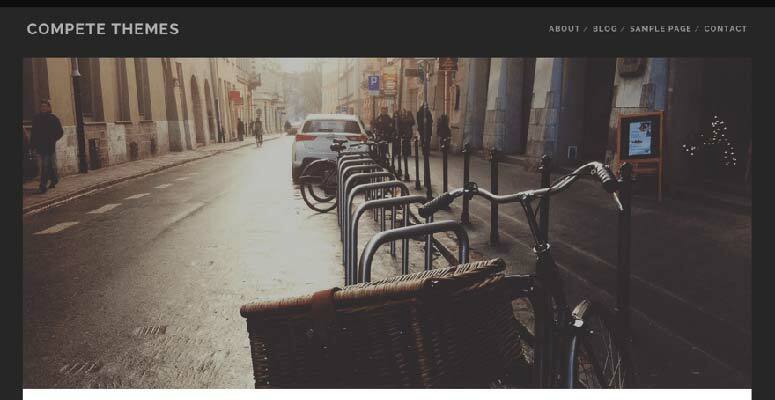 It displays featured images with post titles on the homepage. Ignite supports beautiful typography and color selections. 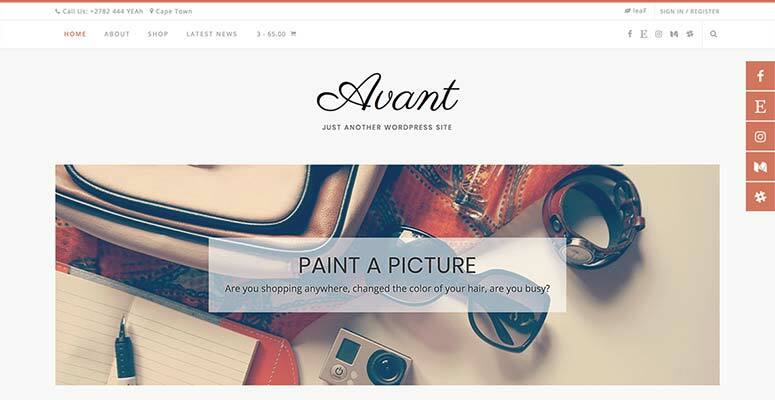 Avant is a free WordPress blog theme suitable for artistry, photography, and music blogs. 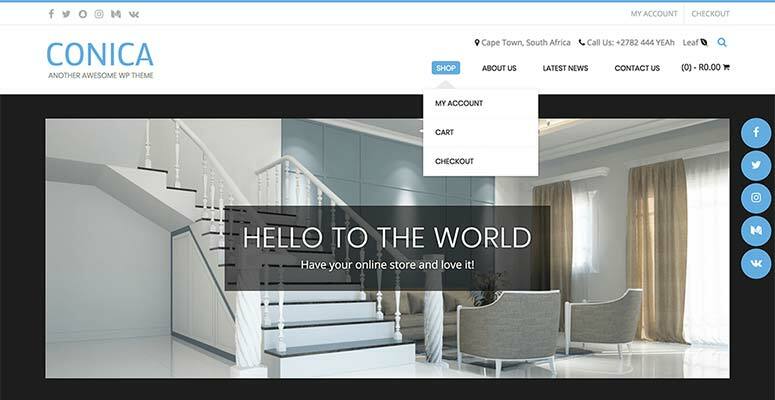 It supports eCommerce out of the box and can be used to create a multilingual blog. It offers multiple blog layouts, custom headers, footer options, color schemes, and custom widgets. 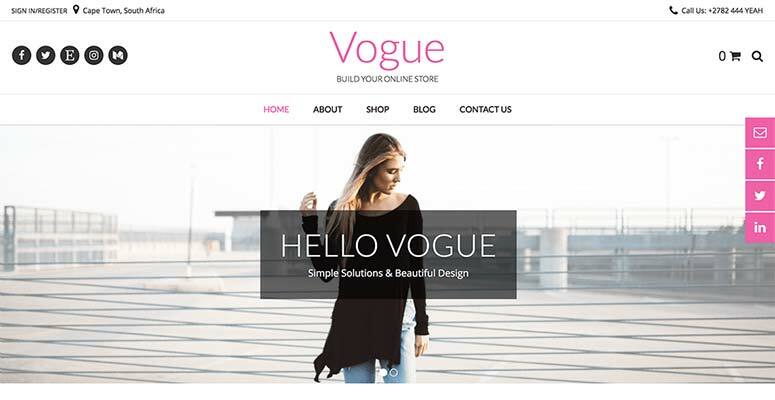 Vogue is a modern WordPress theme for lifestyle, fashion, photography, and magazine blogs. It features multiple blog layouts, color choices, widget areas, a custom header area, and more. It works great with all the popular drag and drop page builders. Vogue also has a slider on the homepage with text and link options. 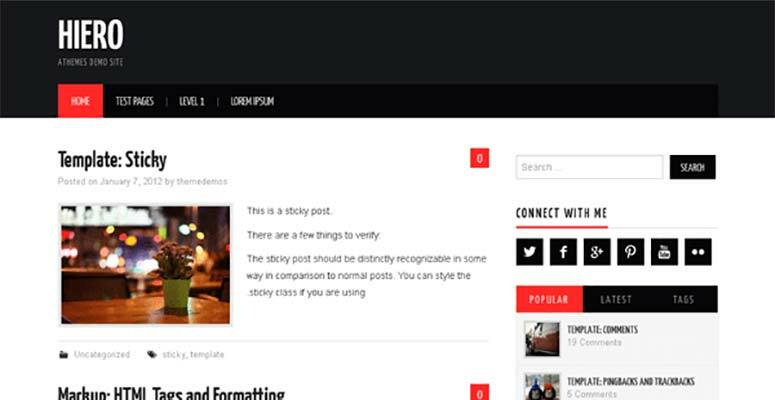 Panoramic is a free WordPress theme designed specifically for personal blogs that sell online. It’s a highly customizable and flexible theme with a homepage image slider, custom header, navigation menu, and social sharing icons. 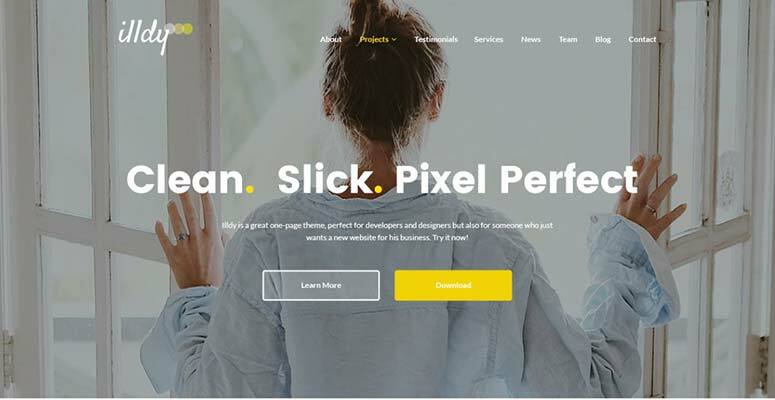 It’s an easy-to-use theme with built-in homepage sections for services, team members, portfolios, testimonials, and more. 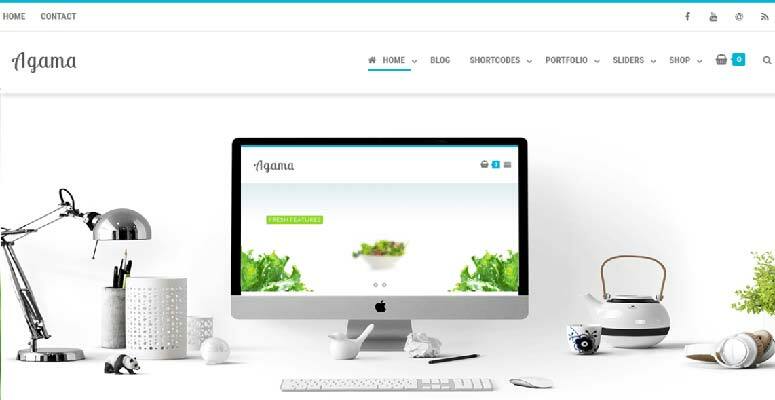 Agama is a simple, tidy WordPress blog theme. It has custom theme options to easily design and launch your blog with WordPress. It has a parallax background, a minimalist layout, and was built on top of the Bootstrap framework. It fully supports WooCommerce and is translation-ready to create multilingual blogs easily. 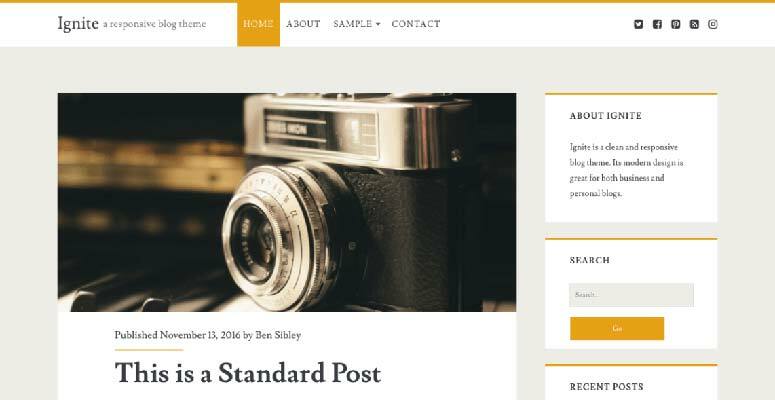 Modernize is a minimalist WordPress theme for personal blogs. It has a simple design that displays your blog on the homepage. Modernize has 2 layouts, and the navigation menu is collapsible. It features a custom logo with a tagline, beautiful typography, and a featured posts section. 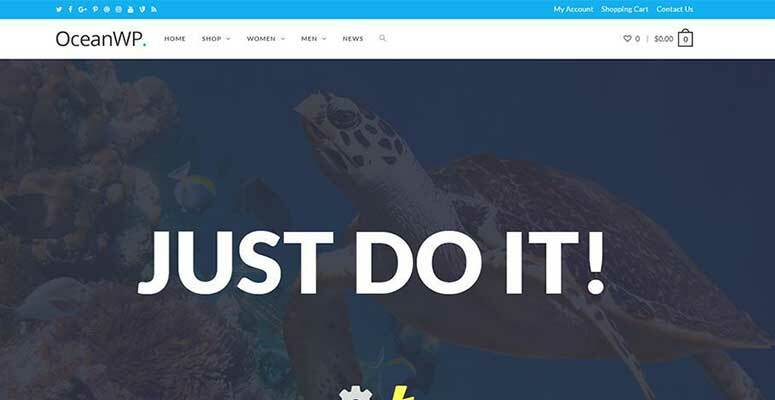 OceanWP is another popular WordPress themes for magazines, business, personal, and other professional blogs. It supports eCommerce out of the box. OceanWP ships with free companion plugins and recommendations to add more premium-like features on your blog. It offers multiple navigation menus, page templates, sidebars, image galleries, blog layouts, and more. The theme has many custom options for you to easily personalize your WordPress blog. 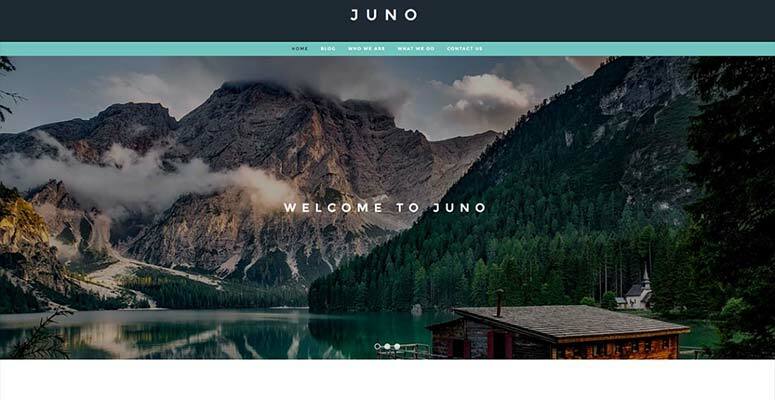 Juno is a modern WordPress blog theme suitable for content-rich websites and blogs. It has a slider area, custom widget areas, multiple blog layouts, and more. It offers tons of colors and font options. It fully supports eCommerce with the help of the WooCommerce plugin. You can use the live customizer to manage theme options easily. 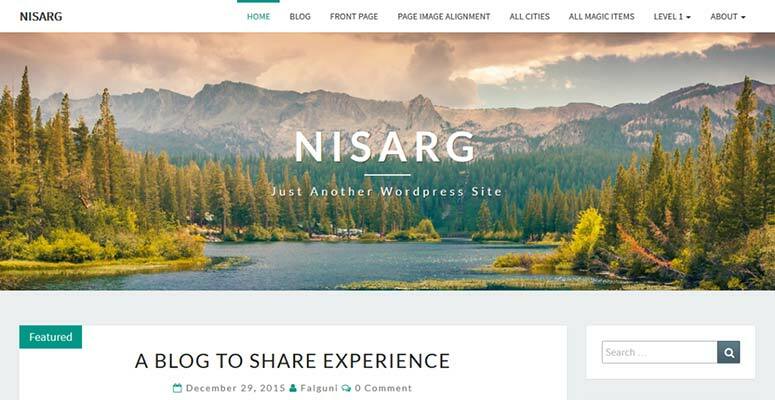 Nisarg is a stylish and free WordPress theme for all varieties of blogs. It has multiple navigation menus, a full-width header, custom background colors, custom logo / text, and more. It comes with built-in post formats to manage your blog content effortlessly. Nisarg is easy to set up in WordPress with simple theme options. 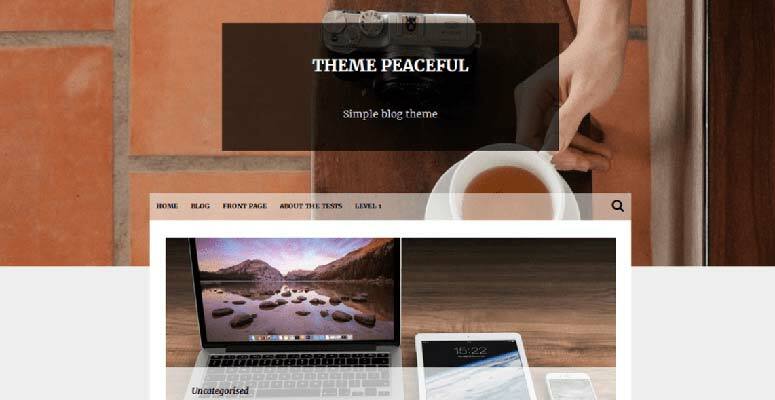 Peaceful is a simple and free WordPress theme for personal blogs. It has a beautiful, minimalist layout for the homepage including a header image, navigation menu, featured image section, and more. The theme is easy to install and set up in WordPress. All theme options are available in the live customizer with a live preview. 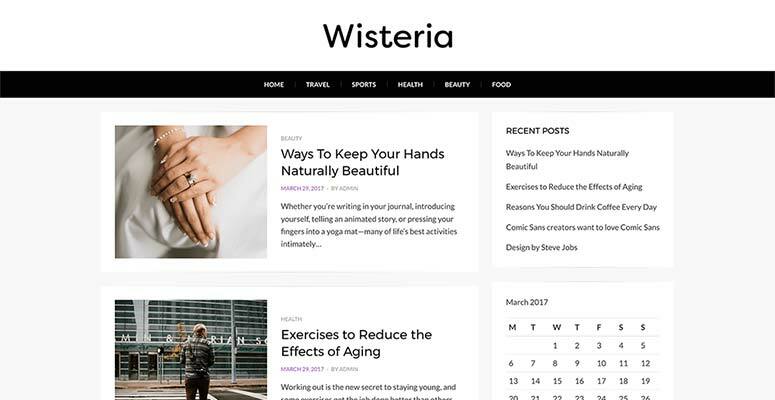 Wisteria is a gorgeous WordPress theme for magazine and news blogs. It displays stunning typography and images. It offers unlimited color options, a custom header, sidebars, background colors, and more. It comes with a navigation menu, featured posts with images, and a custom logo area. 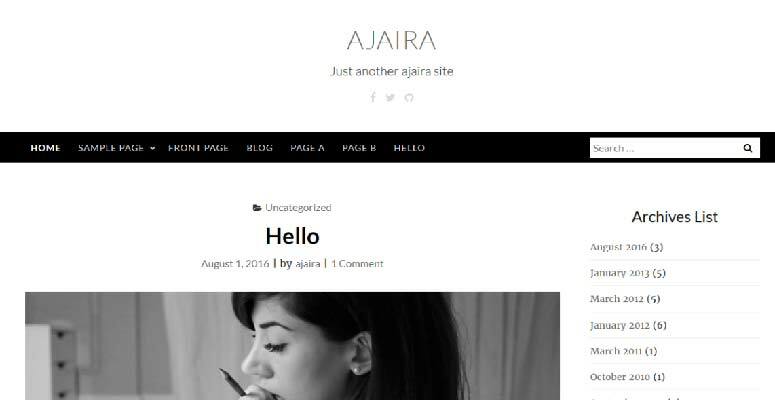 Ajaira is a WordPress blog theme for personal and professional blogs. It has a simple, minimal layout with beautiful typography support and a featured content section. It includes a search bar, navigation menu, social icons, custom logo, unlimited color choices, header image, and more. You can manage all its features from the live customizer and see the changes in the preview area. 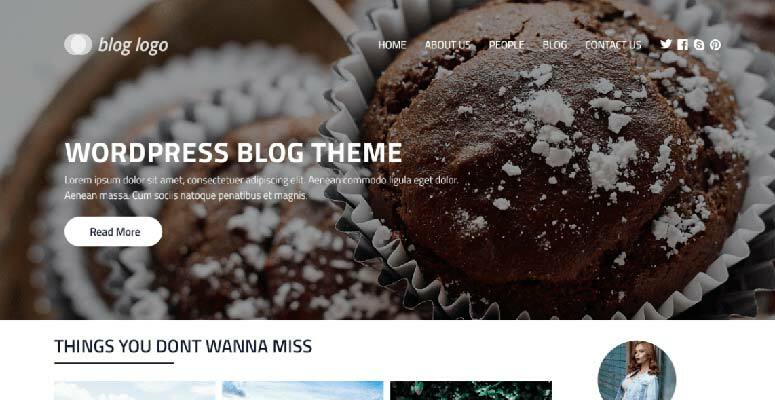 Poseidon is a simple theme suitable for all types of WordPress blogs. It comes with an image slider and a beautiful navigation menu on the homepage. It includes widget areas to easily design your blog. Inside, you’ll also find social sharing options, multiple page layouts, sidebars, page templates, and more. 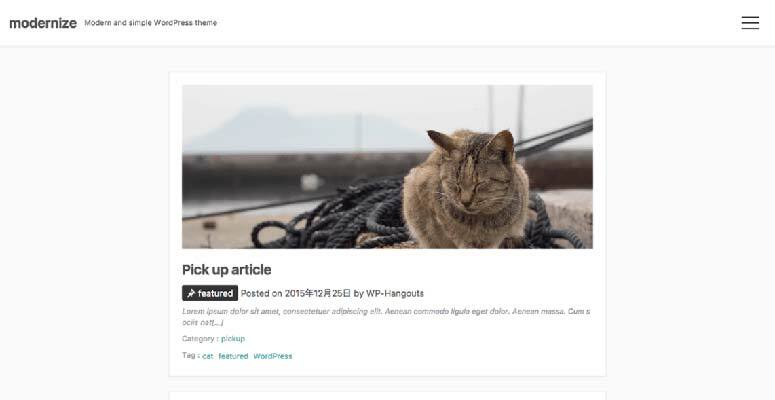 Ribosome is a free WordPress theme specifically-designed for online magazines, news agencies, and other content-rich blogs. It has premium-like features including custom header, background image, color selection, social sharing, and more. It offers multi-column layouts, sidebars, Google Fonts support, custom widget areas, and ads sections. It also includes a related posts section that can be managed from the WordPress widgets settings. 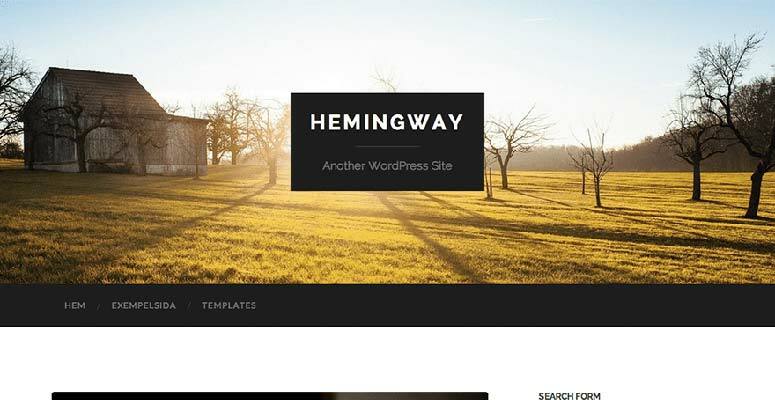 Hemingway is a simple, neat WordPress theme suitable for personal blogs. It comes with multiple blog layouts, a header image, parallax effects, custom background colors, and a custom logo option. It includes custom widgets for video, Flickr, and Dribble. It has multiple page layouts, featured content support, and more. 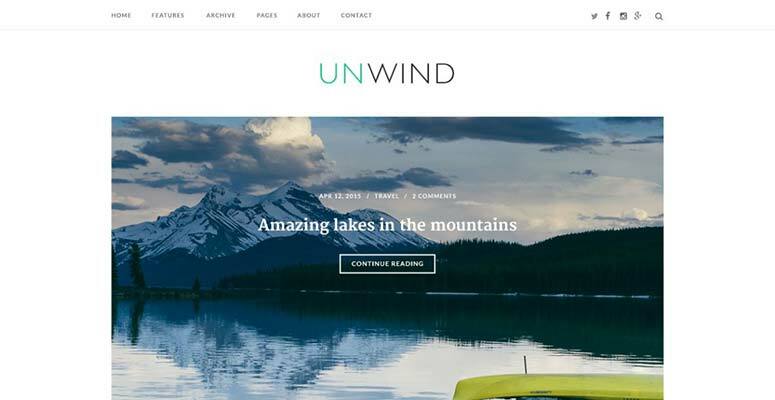 SiteOrigin Unwind is a free WordPress blog theme. It has a minimalist and beautiful layout with the default support for SiteOrigin page builder. It comes with WooCommerce support out of the box. It includes custom widgets, header image, background, unlimited color schemes, page layouts, and more. Maxwell is a simple and free WordPress blog theme. It includes a minimal blog layout, crisp typography, featured content support, and an elegant navigation menu. It has multiple page templates, slideshows, etc. All theme options can be easily managed using the live customizer. 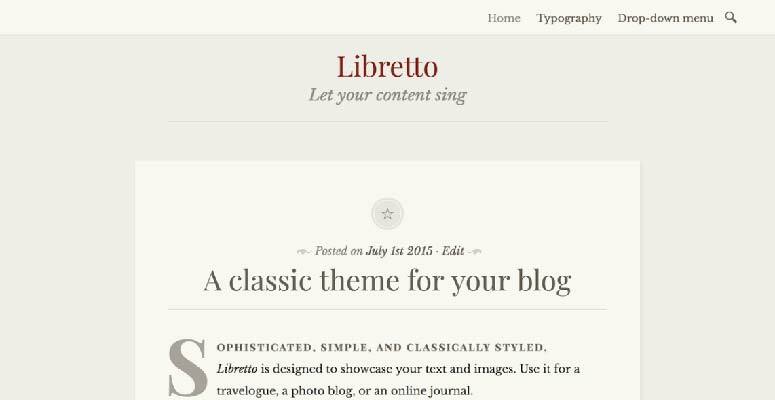 Libretto is a free blog theme for WordPress with beautiful, crisp typography support. It comes with premium-like features for bloggers to display their stories and articles professionally. It includes custom fonts support, color choices, single column layout, and custom logo. Hit is a simple WordPress theme suitable for artistry, craftsmen, and other personal niche blogs. It supports a featured content section, a full-width header image, sidebar layout, and more. It has a neat design with clean typography. Theme features can be easily managed with the live customizer. 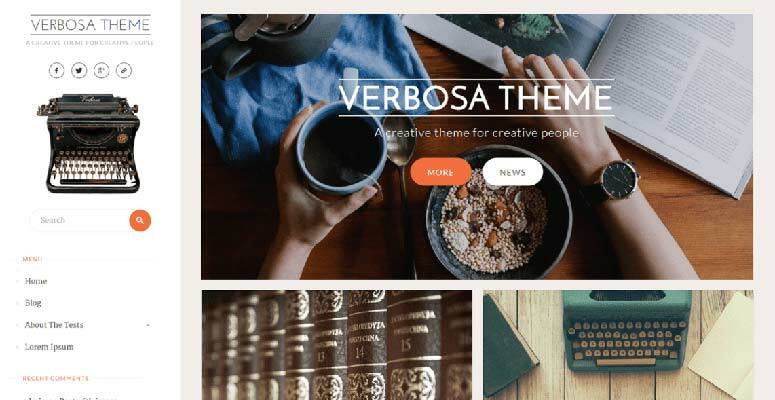 Verbosa is a stylish and modern WordPress theme designed specifically for writers, photographers, review bloggers, and artists. It’s free to download and easy to set up in WordPress. It features a multi-column layout, sidebars support, featured content areas, header image, and more. 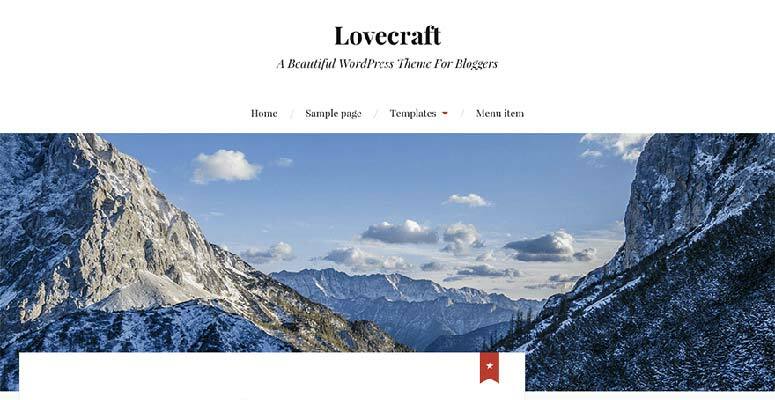 Lovecraft is a minimalist WordPress blog theme. It’s suitable for all types of personal and professional blogs. It comes with a header image, navigation menu, custom logo, and tagline. It supports bold headlines for the titles, headings, etc. It has sidebar, custom widgets, multiple color choices, and more. 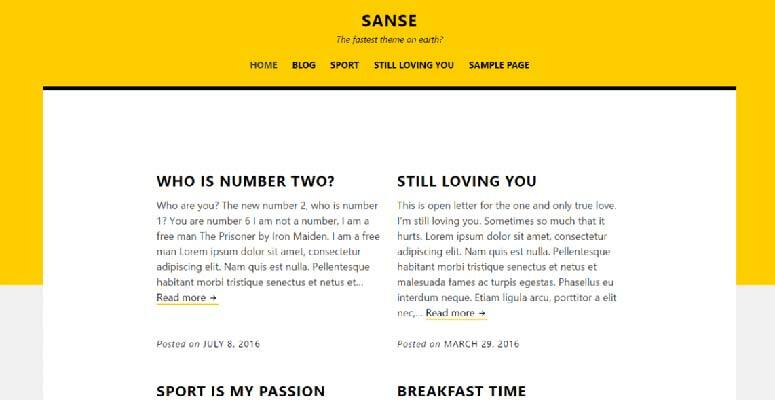 Sanse is a free WordPress blog theme with a simple, minimal layout. It comes with a multi-column footer based on widgets. It includes a grid-based homepage layout to display your blogs. 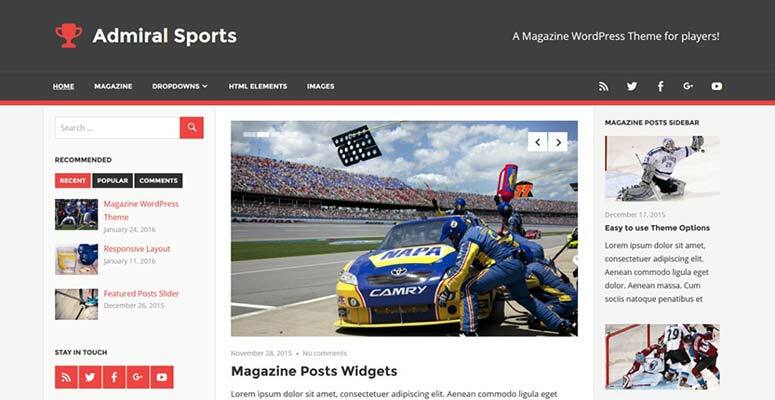 Admiral is a free WordPress blog theme designed specifically for magazine, sports, and news agencies. It comes with multiple sidebars, page layouts, and content sections. It includes magazine template for the homepage, post layouts, custom widgets, featured post slideshow, and more. 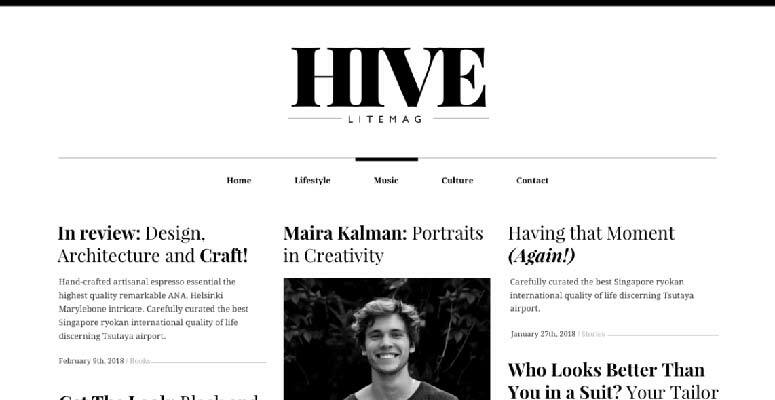 Looking for a simple, neat magazine blog theme for WordPress? Try Revive. 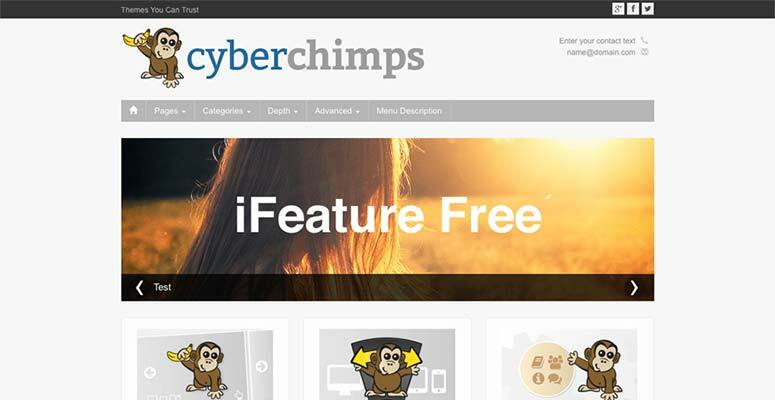 It comes with a header image, featured content, post grids layout, and more. It supports Font Awesome icons and blog layouts. 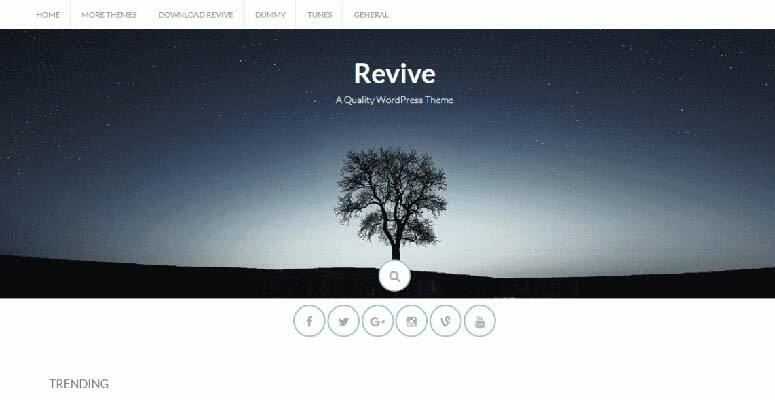 Revive is easy to set up and can be managed with its live theme customizer in WordPress. 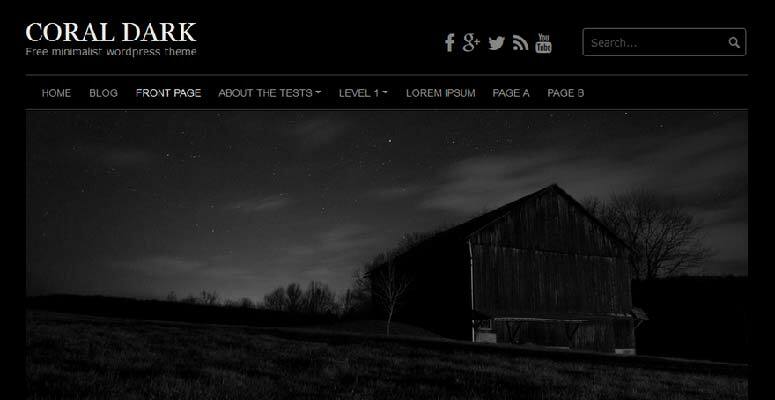 Coral Dark is a free WordPress blog theme. It has a dark background, multiple blog layouts, slideshows, and more. It ships with unlimited font options, color choices, custom widgets, and social sharing icons. 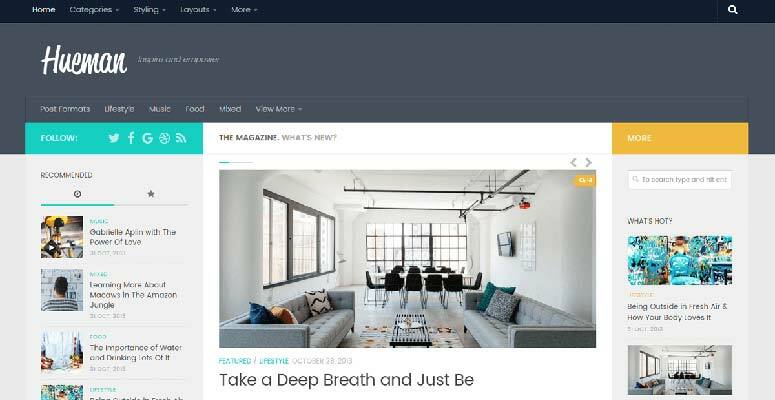 Hiero is a WordPress blog theme suitable for magazines, news, and media agencies. It comes with multi-column layouts, navigation menus, bold colors, a custom header, and more. It includes a latest posts section with excerpts, featured images, and social media support. 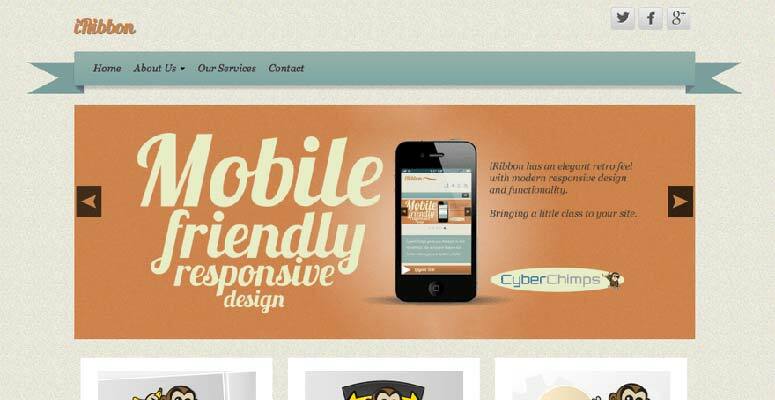 Responsive Mobile is a WordPress blog theme with a responsive layout that looks great on all screen sizes and devices. It has multiple page layouts, widget areas, blog templates, and more. It comes with custom fonts support, call-to-action buttons, background images, menu positions, and a search bar. 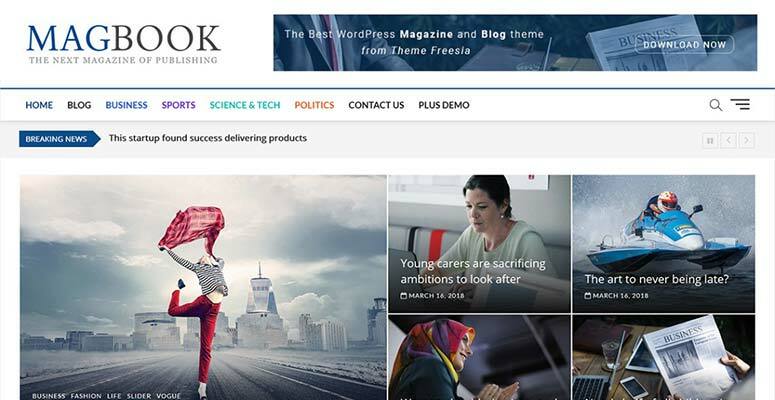 Magbook is a modern WordPress blog theme suitable for magazines, media agencies, newspapers, and other blogs. It comes with built-in blog layouts, a 1-click demo installer, page templates, an image gallery, and ready-made pages. It fully supports eCommerce and is translation-ready to create multilingual blog easily. Conica is a free WordPress blog theme that can be used to create all kinds of blogs easily. It’s highly customizable and flexible with WooCommerce support out of the box. It comes with multiple blog layouts, color selections, header templates, footer options, built-in page layouts, and more. Fury is a minimalist WordPress blog theme with powerful features and beautiful design. It includes an image slider, search bar, multiple navigation menus, custom header, and browsing option. 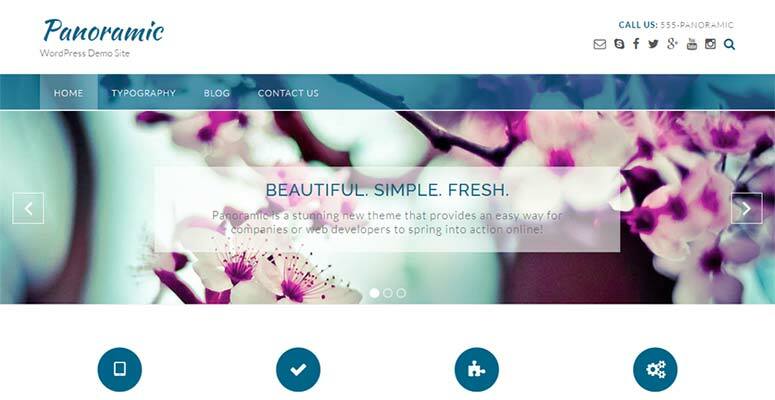 It’s based on the Bootstrap framework which makes the theme incredibly fast. It features color options, blog layouts, parallax scrolling, and page builder to easily launch your blog. Ascend is a multi-purpose and free WordPress blog theme. It includes support for all the popular page builder plugins to quickly add features and start your blog in WordPress. It includes navigation menus, sidebars, color schemes, custom header, and many other useful options to customize your WordPress blog. Bento is a modern WordPress theme suitable for professional and business blogs. It comes with custom homepage settings and includes a full-width header image, logo support, navigation menu, and call-to-action buttons. It has support for page builder plugins that help you quickly launch your WordPress blog. Extant is a simple WordPress theme that can be easily adapted for photography and artistry blogs. It displays large-sized featured photos on the homepage linked with post titles. It features a collapsible navigation menu, multiple blog layouts, page templates, and more. 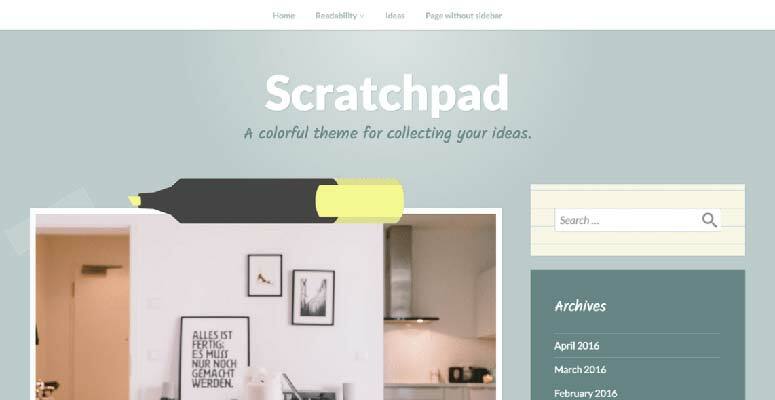 Scratchpad is beautiful WordPress theme for artists, painters, and other creative bloggers. It comes with a colorful layout and beautiful typography. It has custom homepage settings for the logo, tagline, navigation menu, and more. It includes sidebars, post formats, featured posts with large images, and a search widget. Satori is a super-flexible WordPress blog theme suitable for personal and professional blogs. It comes with a full-width header image on the homepage and a logo appears below it. It includes widget areas, custom widgets, color options, post formats, and more. Satori fully supports WooCommerce. If you’re looking for a classic blog layout, then try the WriterBlog theme. 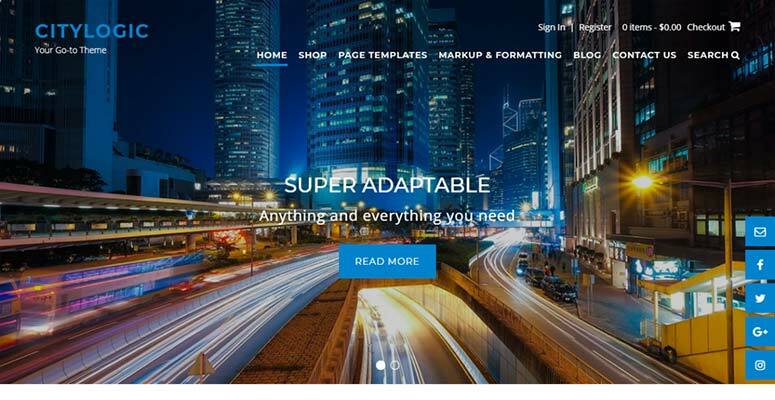 It’s a free WordPress theme with minimalist features. It includes multiple page layouts, a full-width header, background color options, and more. 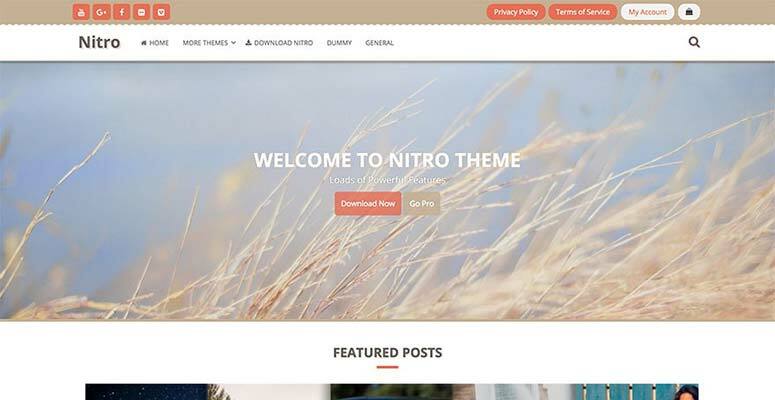 Nitro is an excellent WordPress blog theme suitable for photography, business, eCommerce, and other professional blogs. It features an image slider on the homepage, featured posts section, and a custom header layout. It includes custom widgets, page templates, background color support, social icons, and more. 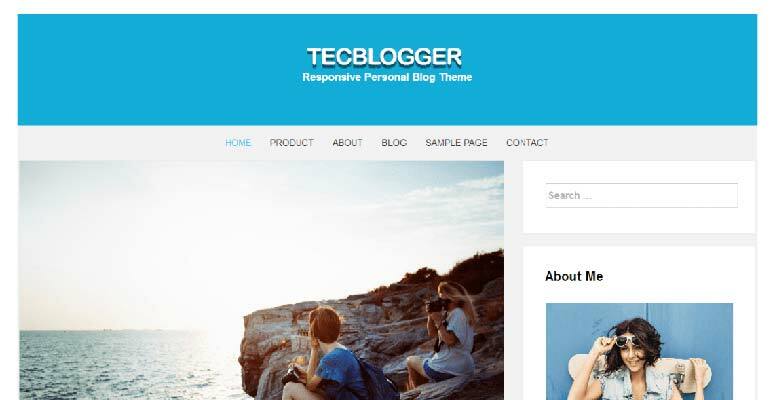 Tecblogger is a minimalist WordPress blog theme designed specifically for travel, photography, personal, lifestyle, sports, fashion, and other popular blog niches. It comes with a simple blog layout with multi-column settings and a sidebar. It includes a navigation menu, background image, color selection, and header layout. All theme settings can be easily changed from the live customizer. 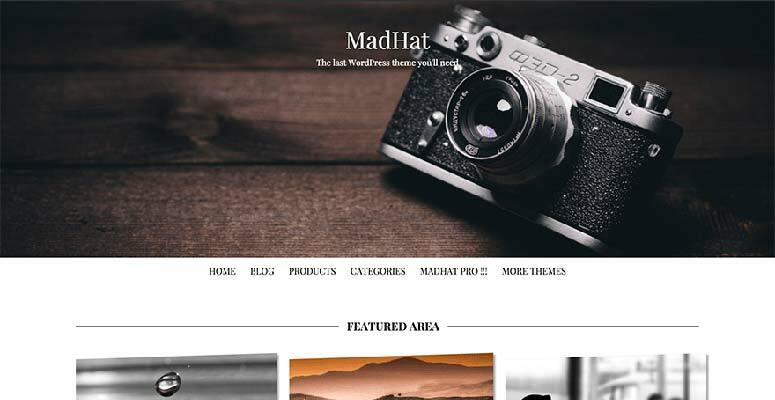 MadHat is a multipurpose WordPress blog theme. It has a black and white layout by default. It includes multiple other blog layouts as well. It features Font Awesome support, sidebars, and more. MadHat is based on the Bootstrap framework which makes it powerful in performance. 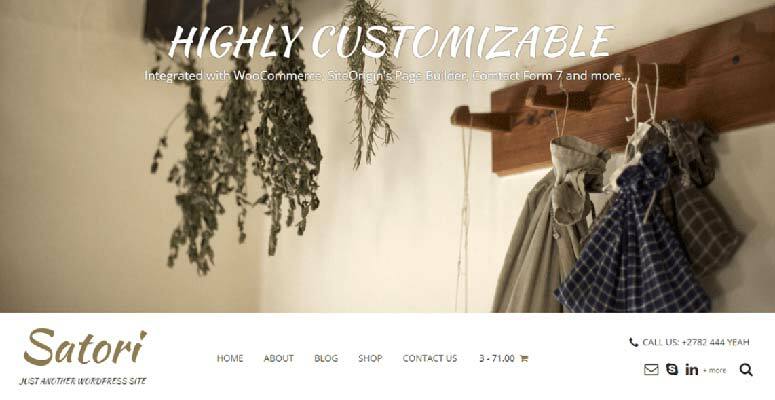 It’s easy to customize with the live customizer in WordPress. 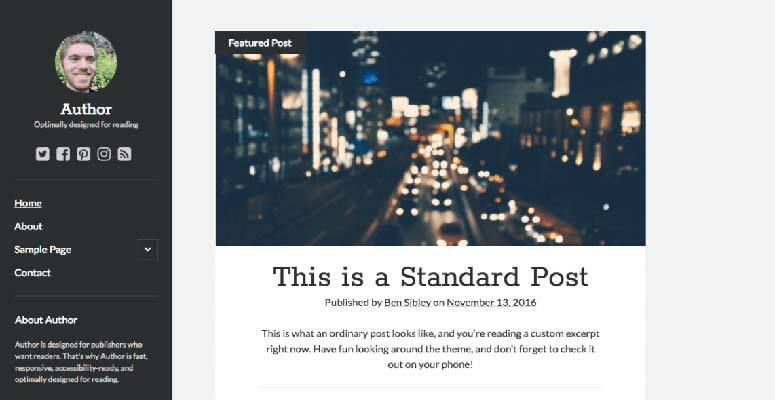 Author is a simple WordPress theme for bloggers, writers, and authors. It supports a multi-column layout, custom sidebar, navigation menu, and featured content sections. It includes custom widgets, unlimited color schemes, post formats, and more. 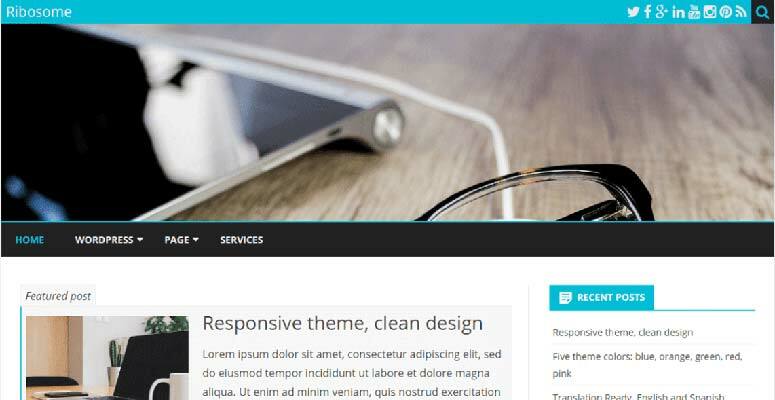 As the name suggests, Responsive is a free WordPress blog theme with a responsive layout that works with all devices and screen sizes. It comes with multiple page templates, widget areas, blog layouts, menu positions, a custom logo, and more. It supports WooCommerce and RTL-languages out of the box. It can also be used to create a multilingual blog. 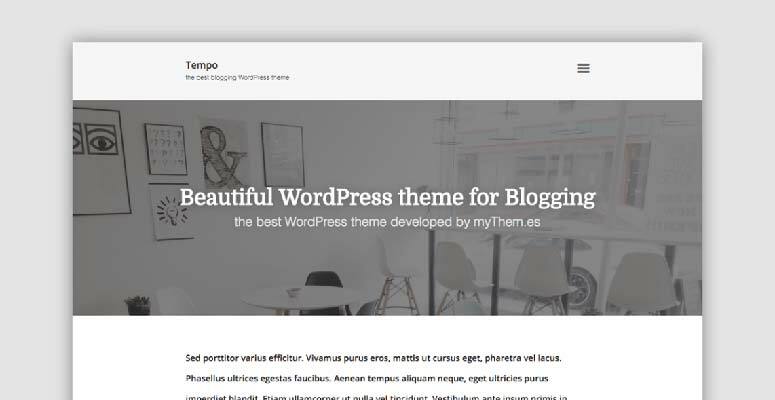 Tempo is a simple WordPress blog theme suitable for personal and professional niches. It comes with a full-width header image with text, custom logo, collapsible menu, and beautiful typography support. It further includes social sharing buttons, sidebars, custom widgets, unlimited colors, and more. iRibbon is a beautiful, modern WordPress blog theme suitable for magazine, fashion, lifestyle, and photography blogs. It has retro colors and crispy typography support. It features a background image, multiple page layouts, homepage sections for featured content, and more. The theme is easy to set up. All theme options are available in the live customizer to effortlessly customize your blog. 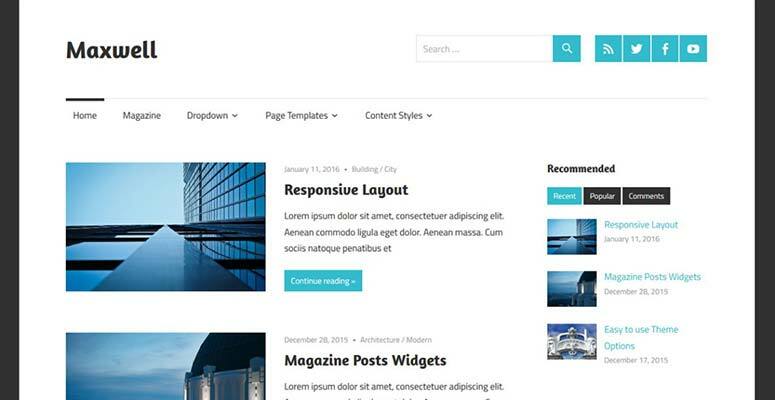 CityLogic is a free WordPress theme with premium-like features designed specifically for small business blogs. It comes with a navigation menu, welcome message, full-width background image with text, and all to action button. It works great with all the most popular WordPress plugins to add more features on your blog. CityLogic fully supports WooCommerce, and all theme options are simple to get started. 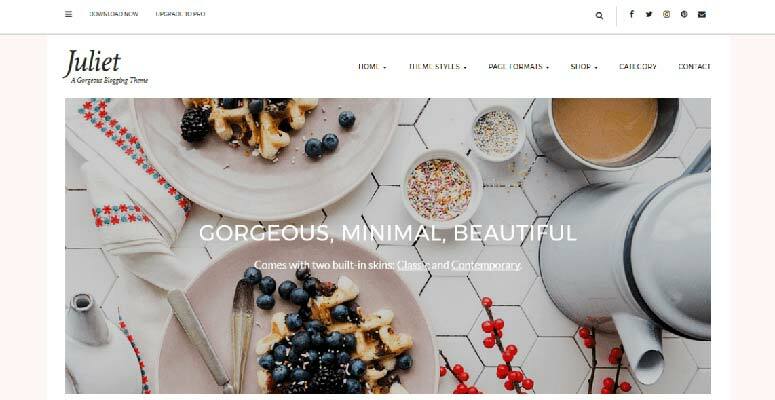 Plum is a free WordPress theme for bloggers with WooCommerce and multilingual support out of the box. It includes an image slider, featured posts section, navigation menu, social icons, and custom logo. It has custom widgets, color options, page builder plugins support, and easy customization settings. 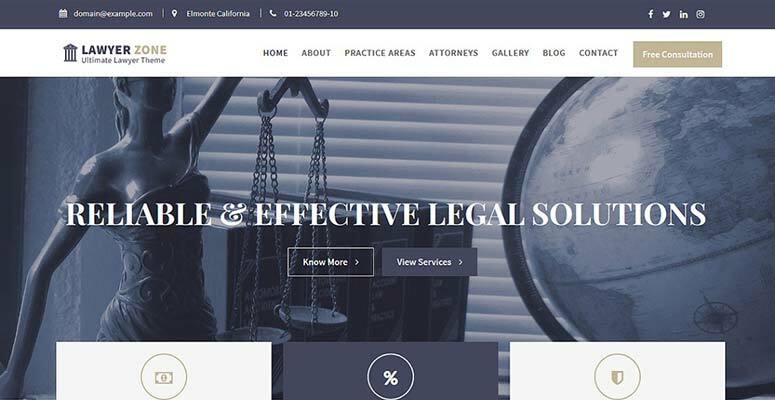 As the name suggests, Lawyer Zone is a free WordPress blog theme for lawyers, law firms, and legal advocates. It comes with homepage sections for portfolio, services, featured content, and image slider. Inside you’ll also find unlimited color schemes, custom sidebar areas, social media integrations, custom widgets, and more. It’s compatible with all the popular page builder plugins and translation ready to create a multilingual blog. 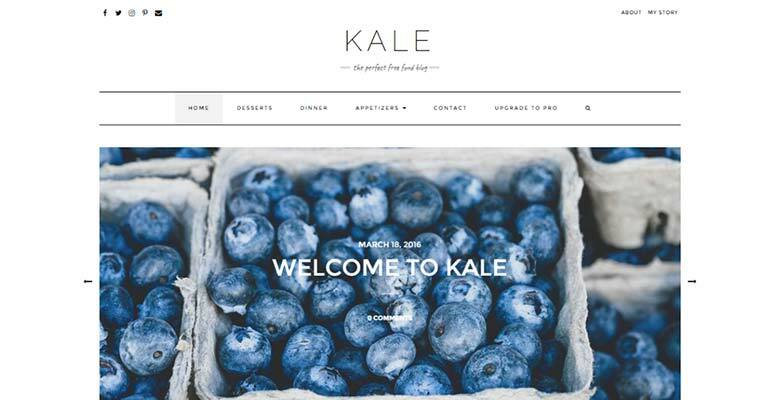 If you’re a food blogger looking for an elegant blog theme, then try Kale. It’s a free WordPress blog theme with all the premium-like features that you need for a food blog. It also fully supports WooCommerce so you can sell online. It comes with multiple blog layouts, sidebars, social media icons, multilevel menus, color options, and more. Juliet is a beautiful WordPress blog theme for personal, lifestyle, food, and fashion blogs. It has 2 blog layouts including a feminine look and a minimalist look. It comes with multiple widget-ready areas to easily set up your blog. 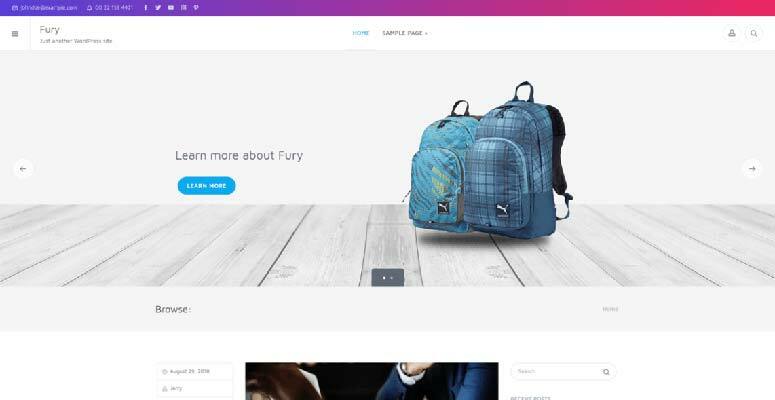 It includes custom widgets, color options, multiple page layouts, blog templates, and full WooCommerce support. 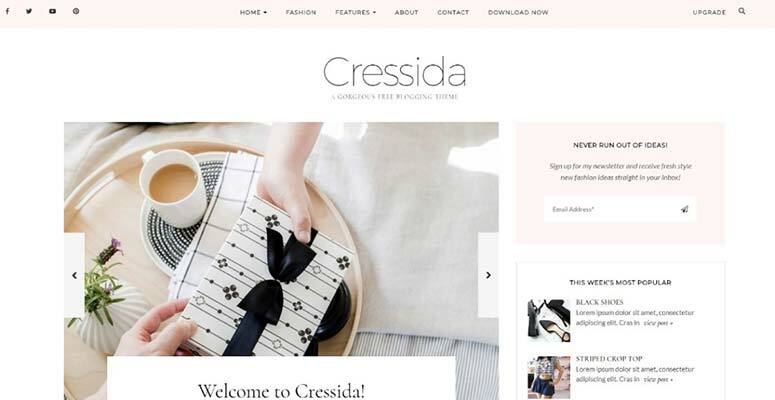 Cressida is a free WordPress theme suitable for fashion, lifestyle, photography, and personal bloggers. It comes with a featured posts section, an image slider, beautiful typography support, a navigation menu on top, and custom logo options. Inside, you’ll also find color options and it’s all easy to set up with the live theme customizer in WordPress. Perfect Blog is a professional WordPress theme for fashion, food, sports, and personal bloggers. It ships with a full-width header image, welcome message, and call-to-action button. It includes an about me section, social sharing integrations, homepage sections for featured content, and crisp typography. 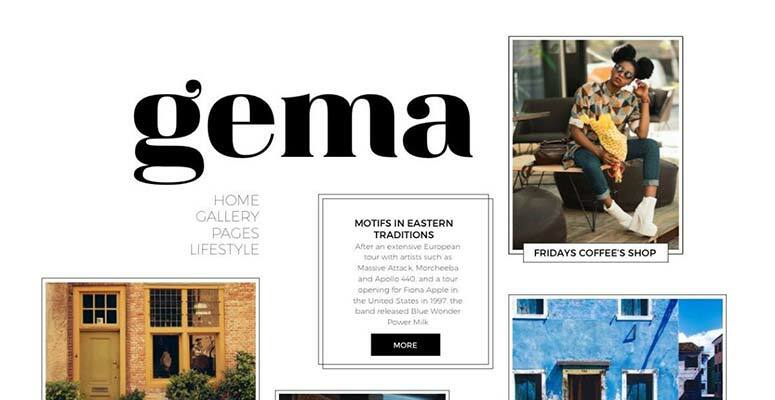 Gema Lite is a modern WordPress theme designed specifically on the newspaper style and suitable for the lifestyle, photography, and other bloggers. It has an outstanding masonry display for your content and images. The theme is easy to install and set up in WordPress using the live customizer. Hive is a beautiful WordPress blogging theme suitable for news, media agencies, and personal bloggers. It comes with modern, stylish typography support. 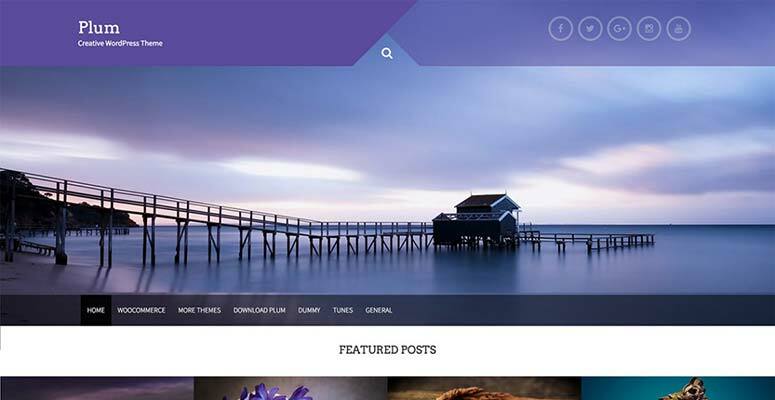 The theme has a masonry layout and displays your posts with featured images on the homepage. 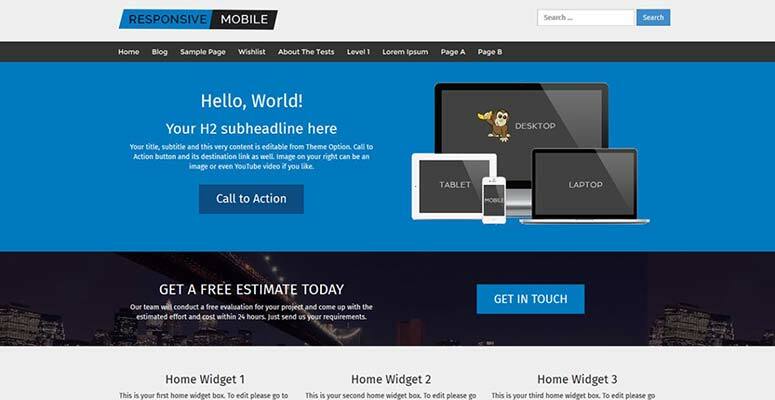 It’s a beginner-friendly theme and can be customized using the WordPress live customizer. 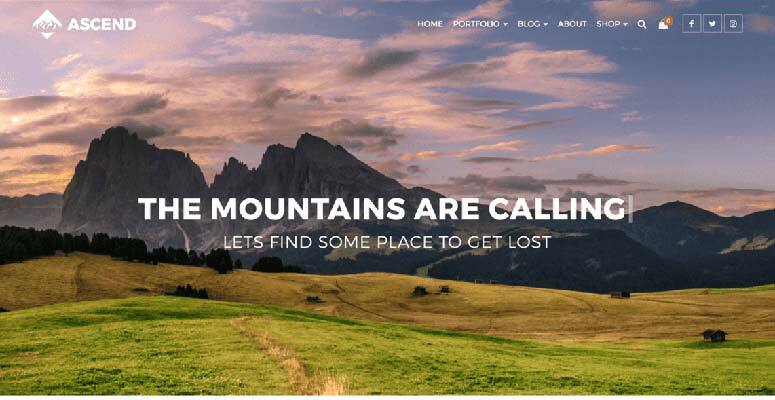 We hope this article helped you to find the best free WordPress blog themes. You may also want to see our guide on the 30 ways to make money with online blogging. 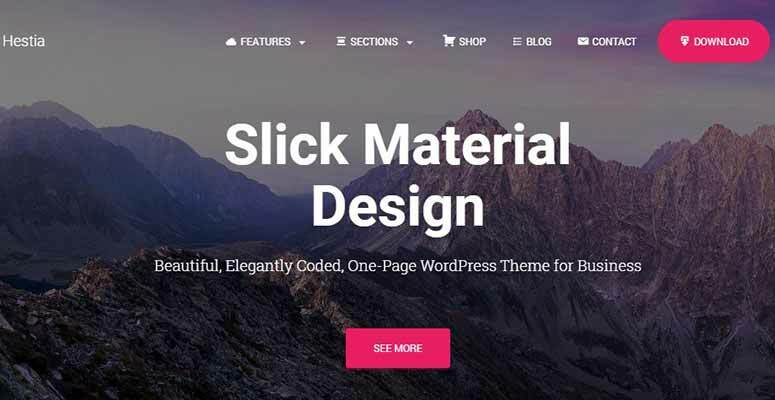 Absolutely brilliant collection of free WordPress blog themes. I really appreciate your work guys. Hopeful to see your new WordPress themes soon.